Can Pigeons Spell? New Study Suggests They Can Recognize Words : The Two-Way The smartest pigeon learned to recognize about 60 four-letter words. It's the first time an orthographic brain has been recorded in a nonprimate. 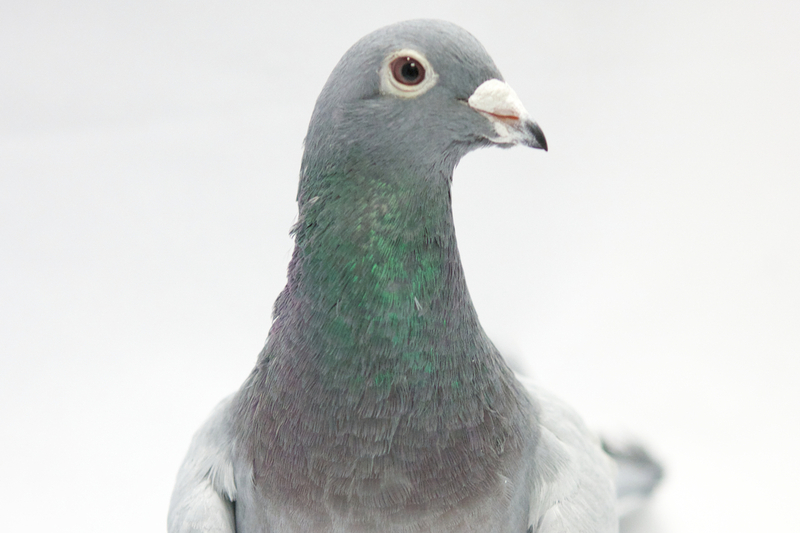 One of the pigeons in a study that found the birds could distinguish dozens of words. If a word is spelled correctly, the pigeon has been taught to peck at the word. If it's spelled incorrectly, the pigeon is supposed to peck at the star. When it gets it right, the machine hands it some food. A group of researchers from New Zealand were able to train four pigeons to consistently — with 70 percent accuracy — recognize dozens of words. The smartest pigeon learned about 60 words that it could distinguish from about 1,000 nonwords. Their study is published in the September issue of the Proceedings of the National Academy of Sciences. And it marks the first time that a nonprimate has been found to have an orthographical brain. That means a brain that has the ability to recognize letters. Damian Scarf, a lecturer at the University of Otago in New Zealand and the study's lead author, says this kind of study is important because it might give us some insight into our own brain development. Scarf says that because human brains don't fossilize, we know very little about the cognitive abilities of our ancestors. "But if you find something like this with pigeons, you can argue that it must've been common to our last common ancestor with pigeons, which is about 300 million years ago," Scarf said. "So the same flexibility and plasticity of the human brain that lets us pick up on words and the statistics behind them must've been present when we were still joined with pigeons." Scarf says his pigeons were not only able to pick up words but also began to make assumptions about how those words are put together. They learned common bigrams — two letters that usually go together in the English language (th, he, es, ea) — and when they were presented with a new word, they would guess using that knowledge. Scarf, who has worked with pigeons for about a decade, says he wasn't surprised by his findings. He also works with primates, and he is usually more surprised to find things that are different about the two. He says that his findings probably mean that if scientists tested more animals, we'd find that most of the ones with good vision could probably learn to recognize words. "That's what I like the most about this type of research," he says. "It proves that it's really not necessarily true that humans have different abilities. It's basically that we have maybe the same ones but we're much better at them."